The scope of this project is to teach young people digital skills with the use of open technologies. We have set up two open labs and have created open educational material (available at elearn.ellak.gr) to provide free courses to mixed classes of refugees and Greek youth. 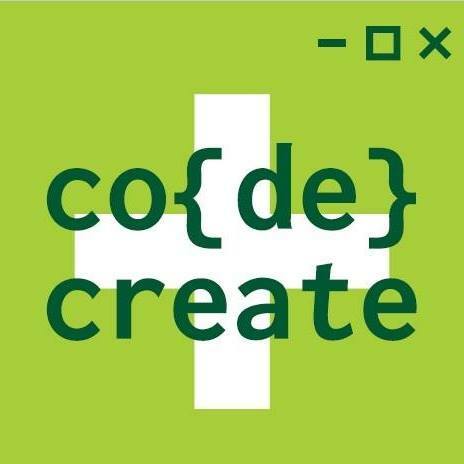 Code+Create has been designed and implemented in partnership between FCA and Open Technologies Alliance, FCA is Finland’s largest NGO in development cooperation and 2nd largest provider of disaster relief – has been successful in channeling Finnish education expertise for delivery of solutions and services to needs in fragile contexts, namely cost-efficient activities for Education in Emergencies, leveraging Finland’s principles of quality learning, equity and accessibility. Refugee adolescents of 15-17 years old are not included in formal reception classes organised by the Ministry of Education in Greece. On the cusp of adulthood, it is critical for them to get access to more meaningful and constructive opportunities that offer a chance to learn – even at an introductory level – valuable, marketable digital and technological skills. Youth need to be proficient at 21st-century skills in order to thrive in a rapidly evolving, technology-mediated world, where IT and technical literacy is an important asset in any work or educational context. Youth participants are selected from the urban Athens area. The two learning spaces currently active are equipped with tech tools such as Raspberry Pis, Nodemcu, Edison robots, 3D printers, projectors, and a laptop for every participant. Classes last 3 hours and take place 2 times a week. The program’s duration is 8 weeks. Classes are held in the evenings during weekdays for groups aged 18-24. During weekends classes are held for groups aged 15-18. Every class is run by two instructors per session with the aid of a class facilitator. All instructional material is in English, openly licensed and available for free in an online learning management system (Moodle). This course is designed as an introductory series of lessons on Educational Robotics with Edison, 3D Printing and Internet of Things (IoT) using NodeMCU and is designed for students aged 15 to 18. Students are introduced to Robotics by programming an Edison (robot), to 3D printing, Internet of Things and the NodeMCU platform. Students and Teachers get to experiment with LEDs, sensors for monitoring temperature and humidity through widgets and are taught to design automated functions. At the end of the course participants are able to produce an overall project using smart home concepts, relays, sensors and weather monitoring. The online material of the course is available at https://elearn.ellak.gr/course/view.php?id=45. This is an introductory course in Python for students, ages 15-18. Its purpose is to help students become acquainted with basic programming concepts through a high level language and be able to create simple arcade games using Python and the pygame library. Python is a widely used high-level programming language for general-purpose programming that is widely used by various organizations such as Google, Yahoo and Youtube. By the end of the course participants will have the skills to create a simple video game. The online material of the course is available at https://elearn.ellak.gr/course/view.php?id=49. The course is designed to teach how to effectively produce a wide range of documents: job cv’s, letters, books, reports, newsletters, brochures, theses, templates and other documents. Students learn how to produce great looking presentations for work, school, or personal use plus essential tips to effectively presenting their documents. Also students will learn to use spreadsheets for capturing, manipulating and displaying data and extracting meaningful conclusions. The online material of the course is available at https://elearn.ellak.gr/course/view.php?id=37. 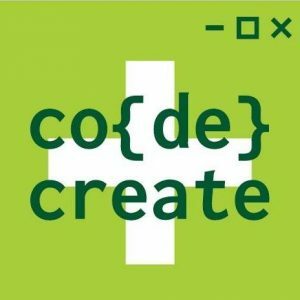 The description of code+create in Greek.